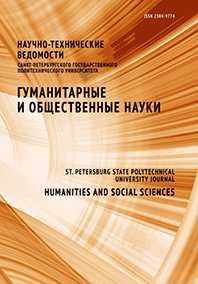 Тhe article is a social-philosophical analysis of the phenomenon of globalization. The main goal of the study is comparative analysis of the concepts of globalization in modern social theory, giving more precise definitions to various forms of globalism as a social phenomenon, study of the social foundations and consequences of global transformations. To do this, we have defined the composite processes of globalization: unification, westernization, transnationalization, integration, internationalization. We have analyzed the role of these processes in the socio-cultural dimension of different civilizations. The main directions of globalization processes (West – East, North – South) and the main centers of power (the USA and Canada, Europe, the BRICS countries, etc) are identified. On the example of the concept of unipolar globalization – globalism or neoliberal globalization, The problems caused by such globalization are noted. The concept of unipolar globalization (globalism, or neoliberal globalization) is given as an example. Social, economic and political problems are described as the consequences and the main driving forces of this type of globalization Processes of Westernization, unification and transnationalization are identified as the main conflict processes.